These traditional studs make the perfect gift for the special lady in your life. 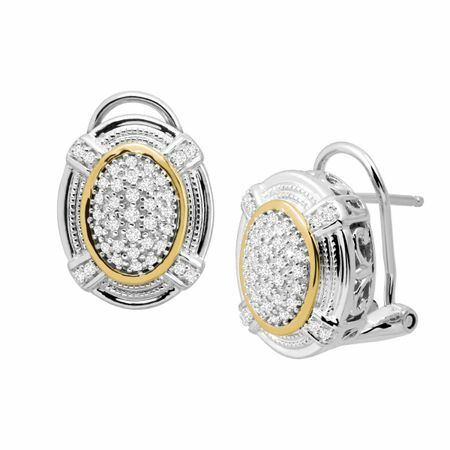 Round-cut diamonds, totaling 1/4 ct, are gathered in the center of these oval-shaped studs, crafted in sterling silver and 14K gold. Pieces measure 9/16 by 7/16 inches.